Use the transitional Solistone Opera 12 in. x 12 in. 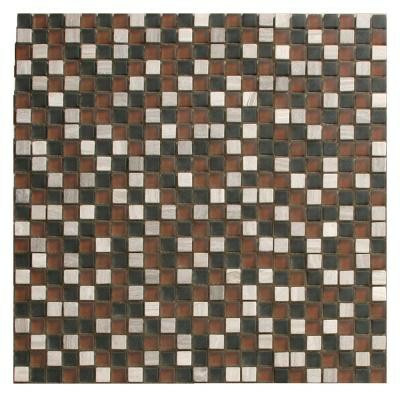 Allegro Mesh-Mounted Mosaic Tile to help enhance the interior of your home. The tile offers Grade 1, glass and natural stone construction for floor and wall use. Its unglazed, smooth finish features a low sheen and a slight variation in tone for natural-looking beauty. It is marginally slip resistant for indoor use and is recommended for standard residential applications. You can buy this product in our internet market. We will be glad if you make the right choice. 10 sq. ft., 10 pieces per case. Case weight is 33 lb.